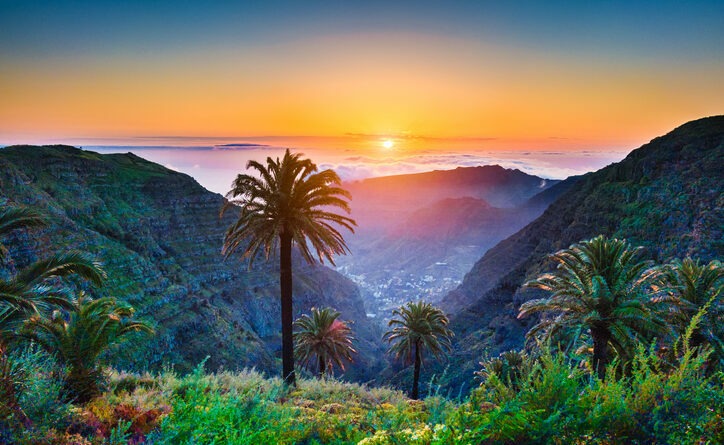 When it comes to winter sun without the long-haul flight, the Canary Islands steal the show. Despite being just hours away from the UK, the Canaries couldn’t differ more in terms of winter weather. Hot all year around, with dramatic landscapes, great beaches and delicious local cuisine, these volcanic islands found off the western coast of Africa are just the ticket for a winter cruise. Read on for our suggestions on how to spend a day in some of the Canaries’ most popular ports of call. 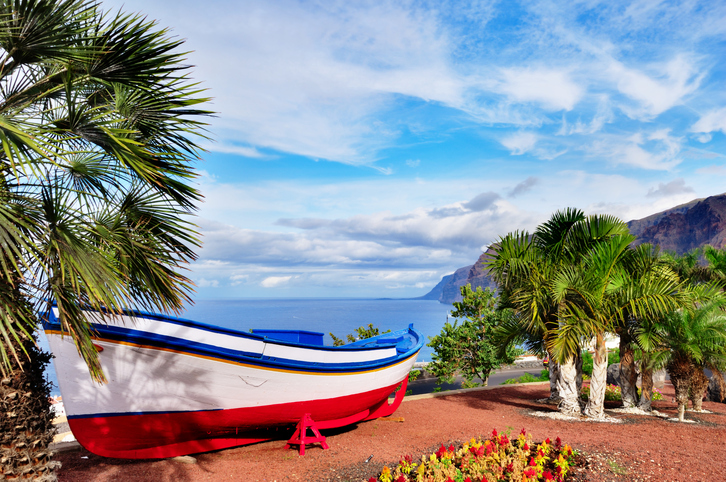 Tenerife is the largest of the Canary Islands, its skyline dominated by the gargantuan Mount Teide and its coast crammed with a combination of lively resorts and sleepy hillside villages. 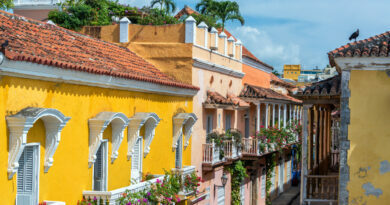 Historic Santa Cruz is Tenerife’s main port but many make the trip south to cosmopolitan Costa Adeje and the popular Playa de las Americas, too. 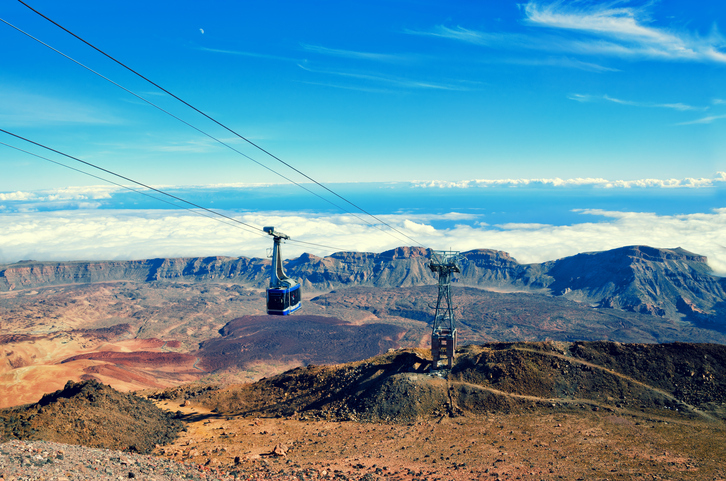 It takes just 8 minutes to reach the summit of Mount Teide by cable car but you’ll want much longer than that to take in the views from the top. The volcano is the third tallest in the world and the highest point in all of Spain, its altitude such that ice decorates the higher slopes from mid-autumn, despite temperatures continuing to soar on the coast below. It’s possible to hike Mount Teide but the cable car is a far more comfortable means by which to appreciate the kaleidoscopic beauty of Teide National Park. All black lava fields, ochre sand dunes and fire-red mountains, the UNESCO World Heritage Site embodies everything you expect from a lunar landscape. Hold onto your bikini bottoms because things get pretty wild at Siam Park. The Canary Islands are home to several water parks and none garner rave reviews quite like this one, located in Costa Adeje. One of the biggest waterparks in Europe and considered by many to be one of the best in the world, this vast expanse of adrenaline-fuelled activity keeps visitors entertained with rushing river rapids and fear-inducing waterslides, with names like The Tower of Power and The Volcano enough to get your heart racing long before you’ve even scaled their steps. Scaredy-cats stay with us because relaxed attractions such as a serene floating market and a huge artificial beach are on offer for those who aren’t quite so enamoured by promises of all things death-defying. If it isn’t your first time in Tenerife, give Mount Teide a miss and live it up like rock royalty at the brand new Hard Rock Hotel Tenerife, near Costa Adeje. A €40 day pass (€20 for children) will buy you access to all the hotel amenities, including the Rock Spa, three pools, a sparkling saltwater lagoon and the Hard Rock Roxity Kids Club. Day guests of the five-star resort will receive the cost of their pass as credit in any of its ten bars and restaurants, too. Sample Asian fusion at Narumi, great steak at Montauk or healthy fare with an ocean view at The Beach Club. With creative cocktails and panoramic views of the Atlantic Ocean, rooftop sky lounge ‘The 16th’ is one of the hottest spots on the island. Families in search of sun, sea and sand will find that and more in Las Palmas, Gran Canaria’s lively capital. 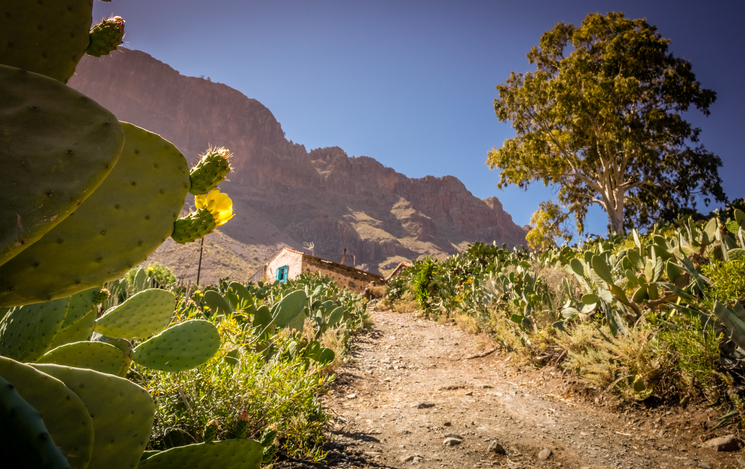 Home to the best beaches in the Canaries, plus the colourful Vegueta old quarter and the ever-popular Aqualand water park, Gran Canaria not only has all the markings of a family favourite, it offers some of the Canaries’ most unusual excursions, too. With an average 320 days of sun and more than 80 beaches on offer, Gran Canaria is a sunseeker’s paradise. From hidden slithers of black volcanic sand to vast golden strips, the island has something to suit everyone and room for sandcastles galore. 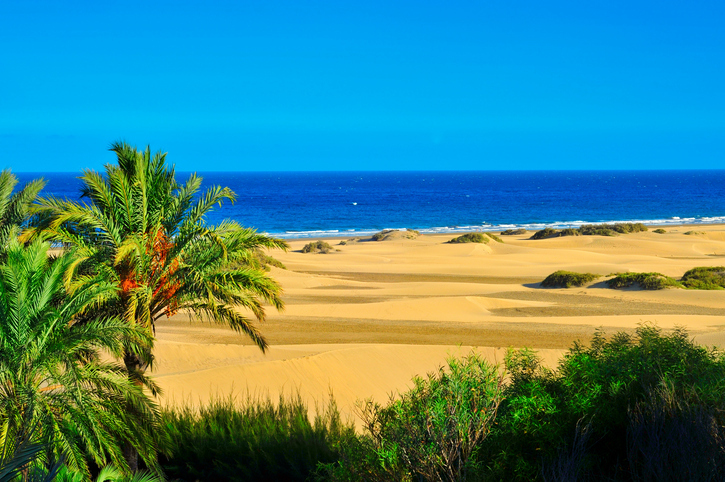 Maspalomas is Gran Canaria’s biggest beach and undoubtedly its most popular. Along with the adjacent Playa del Inglés, it is a great choice for families, with calm water and endless dunes. A little further along the coast, Puerto Rico beach offers great water sports, whilst those who prefer a local feel will appreciate Las Canteras, an underrated stretch of sand in Las Palmas. The entire beach is a marine reserve, so bring your snorkel. Year-round sunshine and world-class courses designed by some of the biggest names in the business makes the Canary Islands a popular choice for golfers. The golf courses in Gran Canaria are among the best in Spain and with eight on offer you’re never far away from the fairway. Some overlook sleek marinas, others palm-filled valleys and vast calderas, but all are an oasis of tranquillity and a break from the beaches. Gran Canaria has some of the best biking roads in the world, its mountainous terrain wound with smooth curves and hairpin bends. If the thought of leaving your beloved bike at home is almost too much to bear, get your fix on a motorcycle tour of the island. The one-day tours will show you Gran Canaria’s highlights on a more memorable alternative to your usual island bus tours. 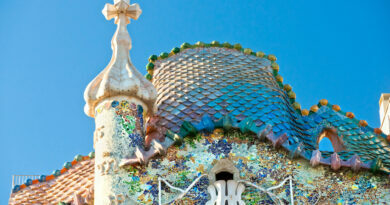 Various routes are offered, all of them incorporating time to appreciate the spectacular coastline and enjoy the island. The rugged landscape does mean that some of the routes can be challenging, so you’ll need to be a competent, experienced rider to join the rides. Bikes are provided, along with protective clothing, helmets, fuel and insurance. 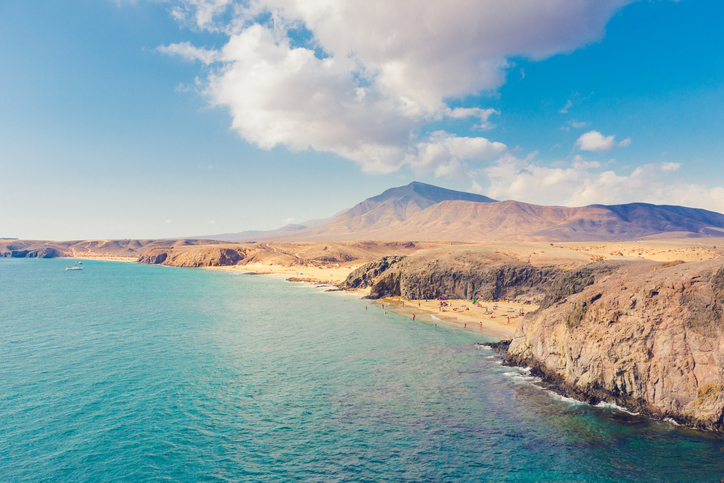 Lanzarote’s landscape is surreal, as one may well expect from an island made up of around 100 volcanoes. 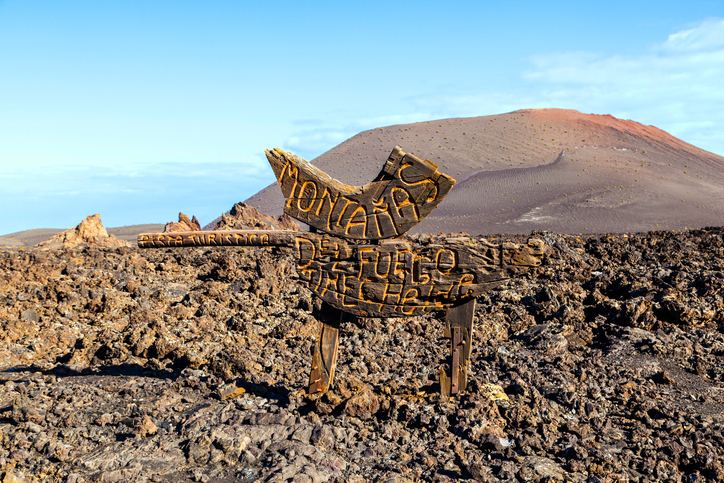 Black, white and red beaches clash with the bright blue Atlantic Ocean and the Fire Mountains loom large above the unmissable Timanfaya National Park. Head north to the old capital of Teguise or stock up on potent pure aloe vera at farms across the island. Just off the south coast of Lanzarote, on an ocean bed 12 metres below the surface, stand 300 cement sculptures of human figures. Crowds 35-deep walk towards a hole in the wall, the only route into the deepest blue beyond, and businessmen in suits take a break on playground swings and see-saws. A little further along, a group of 13 refugees patiently await rescue in a sunken boat. When volcanic eruptions left the Canary Island soil useless for cultivating food crops, locals turned to more intoxicating alternatives. 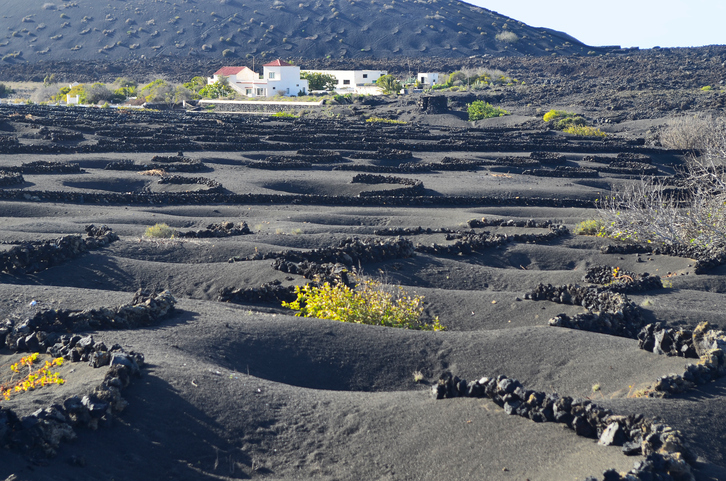 Today, there are more than 250 vineyards between the seven islands and more than 15 of those are found on Lanzarote. The area around La Geria sits in the lap of volcanic peaks, the black lava fields patterned with green vines cupped by crescents of stone. It’s an arresting sight and the resulting produce is even more interesting; reds, rosés and whites, including the signature island tipple, Malvasía, will enamour oenophiles. La Geria Winery is one of the oldest and most visited vineyards in Spain. Enjoy a guided tour of the winery and estate, before tucking into tapas and a glass of the good stuff. 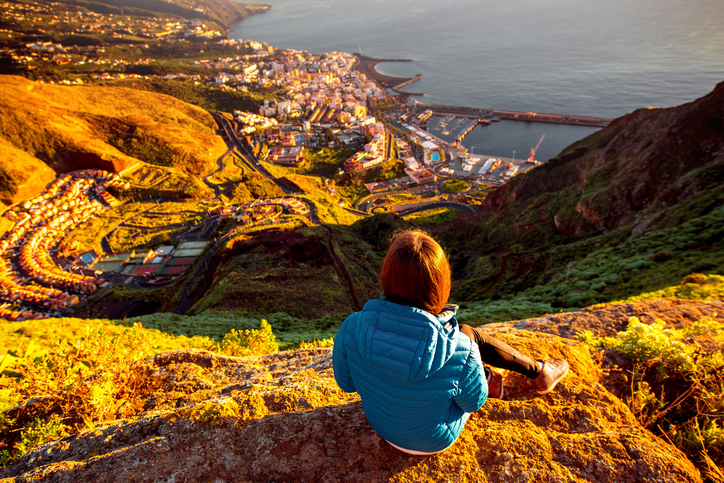 While they may be small, La Gomera and La Palma (not to be confused with the Gran Canarian capital, Las Palmas) offer much to cruisers, especially by way of natural beauty. 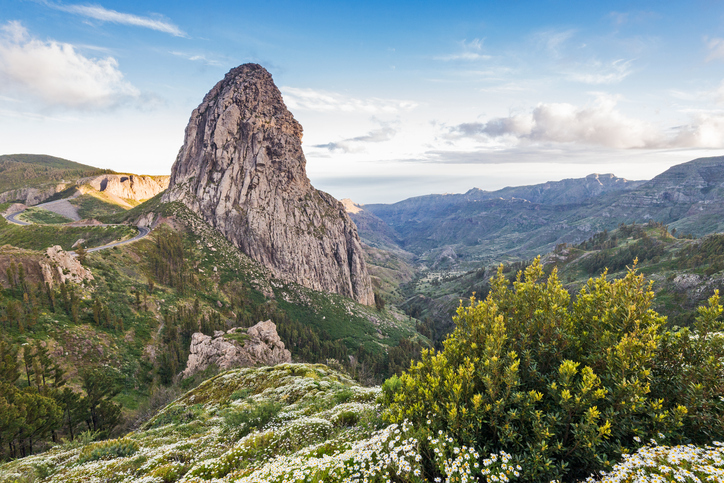 Like La Gomera, La Palma is a walker’s paradise. However, when the weather is hot and your legs are tired, the opportunity to cruise the cool Atlantic in search of whales and dolphins is a welcome one. Tours along the north-west of the island see pods of dolphins appear alongside your catamaran as you ride the waves, dipping in and out of the caves carved into the coastline. You’ll also have the chance to swim in the region’s crystal-clear waters or brave the banana boat during your time on the tour.